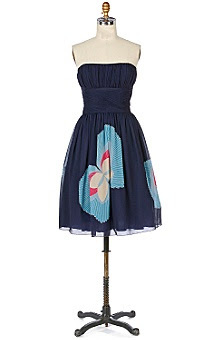 This dress is by Anna Sui so beautiful and it fits me so well. But alas there is no way I will be able to ever afford it, even with $75 in Anthropologie gift certificates. Oh, a girl can dream, can't she?